I had a friend over recently who said she was kind of bored of eating zucchinis. But I actually think it's the most versatile vegetables! You can do so many things with it, like adding it raw to a salad, zucchini fritters, zucchini with quinoa or adding it to a vegetable soup. 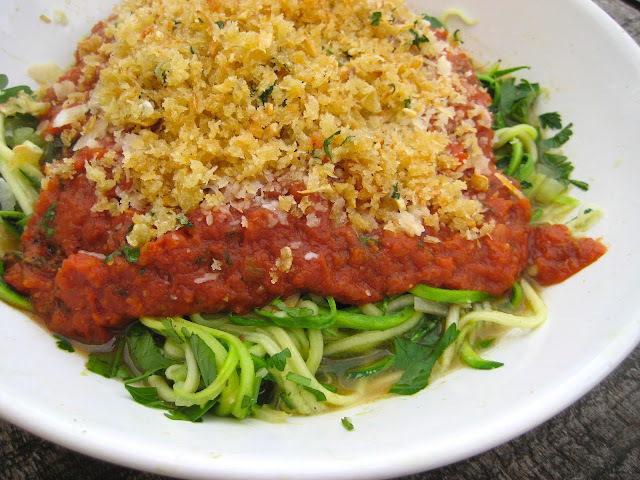 To give some more inspiration, here's another recipe: skinny zucchini spaghetti with tomato sauce and garlic breadcrumbs. For those of you who are craving spaghetti, but are trying to eat healthy, this is the perfect alternative. It's very light, simple and tasty. optional: tomato sauce. I made my own from leftover oven tomatoes, added some garlic and olive oil then blended it. 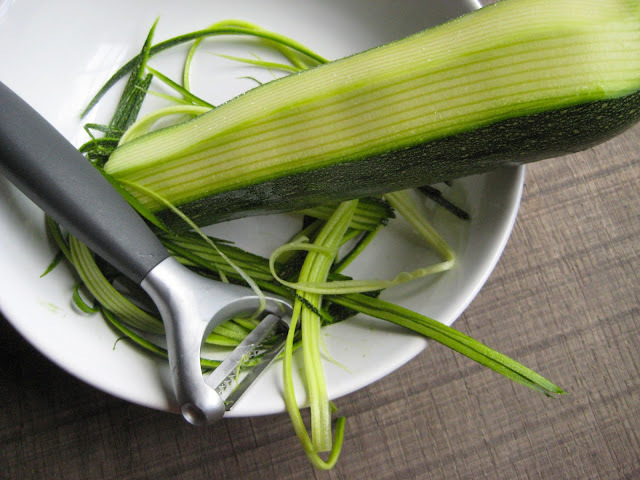 Start by slicing the zucchini into thin strips with the julienne peeler. This tool is not essential, but makes it very easy to achieve that thin pasta-look. You can also use a normal grater but it might be more difficult. 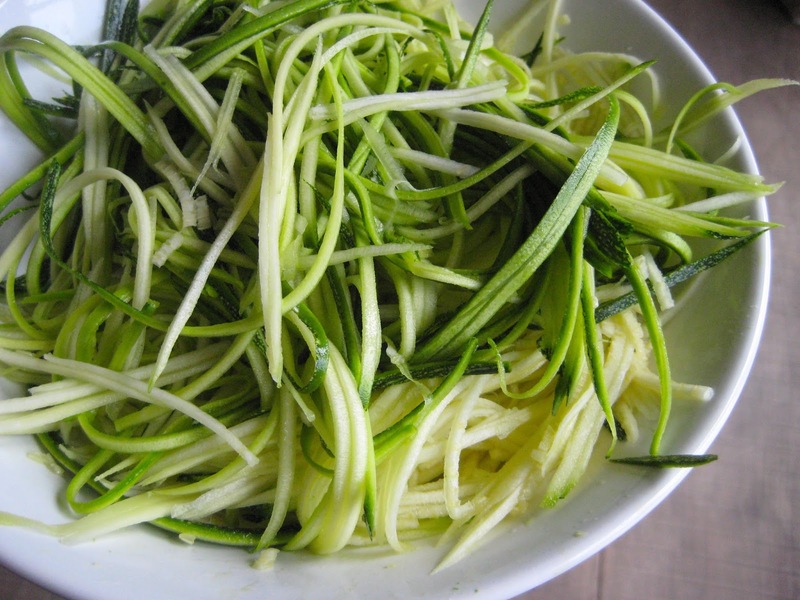 Slice until you reach the middle seed section of the zucchini and toss this away. Then, in a pan, heat some olive oil and add the breadcrumbs, garlic and some chopped parsley. Keep tossing until golden brown. Remove from the pan and put to the side. I had these garlic breadcrumbs with pasta in Italy once and it was so tasty. In another pan, make the tomato sauce. Like I said, this is optional, and you can make any sauce you like. Next time I'll try fresh pesto. Use the first pan to heat some olive oil and to fry the onion. 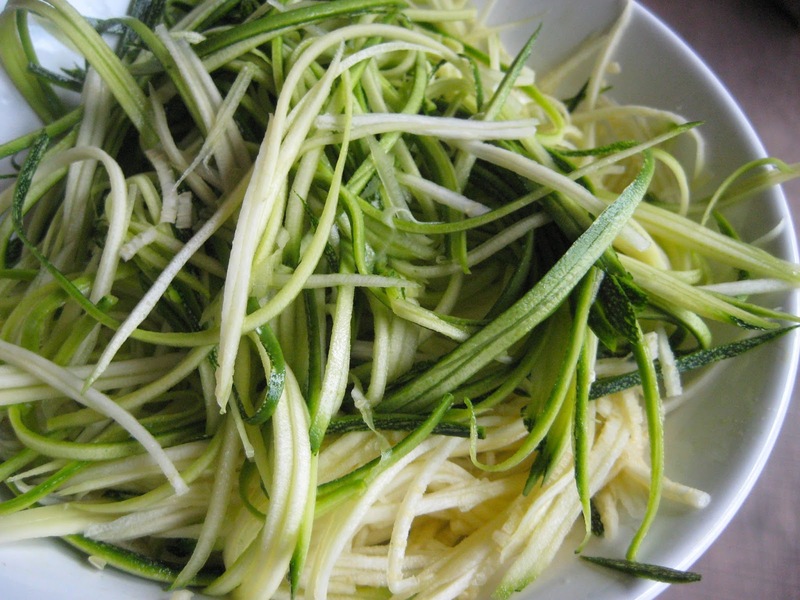 Then add the zucchini and cook until it's a little softer and al dente spaghetti texture. Don't forget to add salt and pepper! This only takes a minute or two. Place the spaghetti on a plate, add the sauce, herbs, some parmesan cheese and at last the breadcrumbs. These will add a crunchy bite to the spaghetti and is perfect for anyone who loves garlic. You can also leave this out to make it a healthier dish. Zucchini spaghetti is a perfect summer dish and I'll make it again as soon as we have more zucchini's in the garden. This just shows how versatile zucchini's are, I love it!